Give your recipients a way to hang up their accolades with our magnetic certificate holder! This frame consists of a beveled black acrylic backing and a beveled clear top piece which are held together with extremely strong magnets. Sold blank, the frame holds an 8" x 10" certificate. A perfect fit for any personalized award or photograph. Dress up the accolades you give your recipients. Applaud their outstanding achievements with this milestone! This holder ships unassembled with protective paper coating over acrylic parts. It is supplied with hangers positioned vertically unless otherwise requested. Hangers can be positioned horizontally upon request. Size: 10 1/4 " x 12 1/4 " x 1/2 "
Price Includes: minimum quantity 12 pieces. Price Includes: per color change. 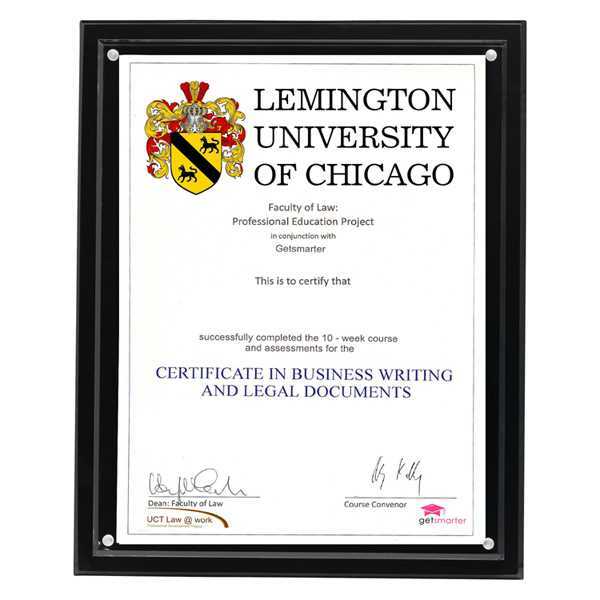 All certificate holders are supplied with hangers positioned vertically unless otherwise requested.